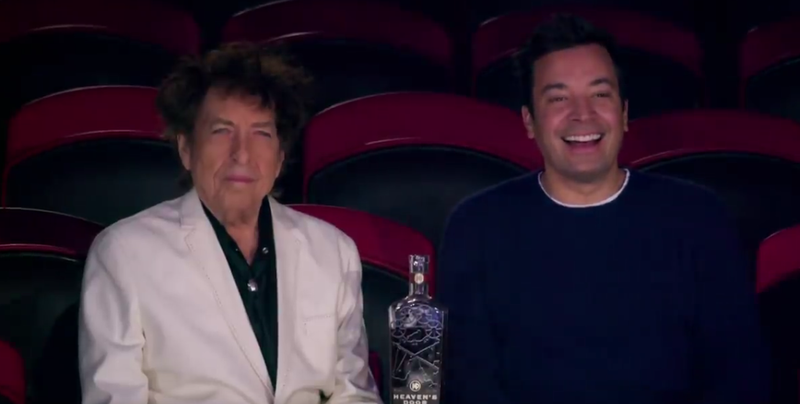 Jimmy Fallon and Bob Dylan hung out at the circus for a TV spot this weekend. The chat show host took the legendary songwriter to the circus in a cryptic sketch, with the pair seemingly being the only people in the audience. As the Big Apple Circus performance unfolded Bob Dylan poured some of his own-brand Heaven's Door whiskey, while the two soak up the show. "We both wanted to create a collection of American whiskeys that, in their own way, tell a story... I’ve been traveling for decades, and I’ve been able to try some of the best spirits that the world of whiskey has to offer. This is great whiskey."